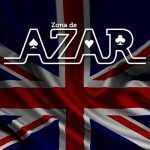 Zona de Azar UK – ICE London 2019 Third and Last Day: What did Twitter Say About It? UK.- 08 th february 2019 www.zonadeazar.com ICE London is the point of reference and the engine of the international growth of the B2B Gaming industry. The appointment was for three days, from February 5 to 7, 2019, to participate with the latest solutions, content and networking opportunities throughout the world and in all gaming sectors. ICE London presented the complete platform to generate invaluable income, innovations and relationships. As part of the complete package of solutions for learning and intelligence, ‘ICE VOX’ was a series of seven conferences, which took place from February 4 to 6, which gave those present the opportunity to immerse themselves in the latest trends in the industry. The seven conferences were on: Cybercrime and Security; eSports; International Casino Conference; Modernization of lotteries; World Regulatory Briefing, Advertising and Marketing, and Artificial Intelligence. We invite you to visit the most important tweets of the third and last day of this International Fair of the highest level. Next year will take place from 04 to 06 February at the ExCel in London.